Indicating a sudden action or event, especially the winning of a game of bingo. For anyone that isn't familiar with it, bingo is a game in which players are given tickets with numbers printed on them. 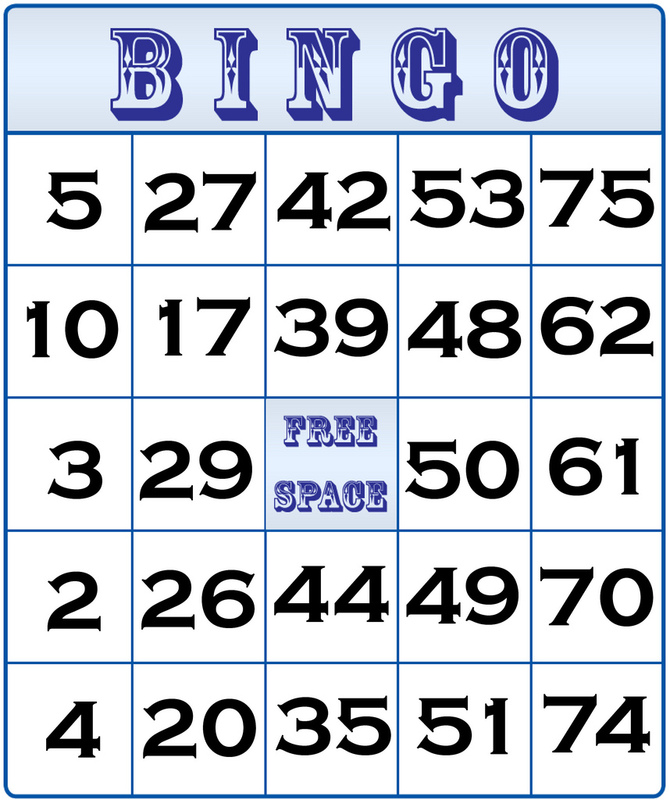 An announcer draws and calls random numbers which the player marks off his card, and the first player to mark off all numbers wins by shouting "Bingo!" 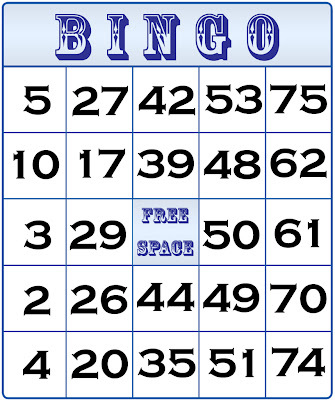 Popularly, bingo is associated with old people and so-called bingo-lingo. This is where the caller uses small rhymes or nicknames for the numbers he's calling. The most famous is probably "Two fat ladies! Eighty-eight!". Other clever(ish) ones include "Ghandi's breakfast! 80!" and "David's Den! Number 10!" A modern addition is "J-Lo's bum! 71" and, as suggested once on Have I Got News For You, "Posh's IQ! 32!" (which is really not very nice at all). Anyway, let's try and pull this back to bingo's application in English. As the definition states, it's often used to indicate a sudden realisation, moment or insight. However, it's also commonly used in a slightly more sinister way, such as when a trap has been set and someone has fallen into it, or when someone has been caught out in what they're saying (imagine a hunter, watching his snare, observing a rabbit getting closer ... and closer ... just a little more ... and ... BINGO!). This video from Inglourious Basterds provides both an example of bingo being used in this way and a lesson in its correct use as an interjection. The grotesquely charismatic SS Colonel Hans Landa has just correctly deduced that Lt. Aldo Raine's unit is overseen by the OSS, which for him is a 'Bingo!' moment, but he requires some adjustment in dropping the article and using it as a standalone interjection. Is the interjection bingo used differently around your parts? Do you play bingo? Do please comment below. It's too hot to even attempt to justify this comment with an ending so I'll just bid you a good day ed. Ta for the post. It could be a hilarious slap-stick moment, C: a confused bingo virgin on his first trip to Australia, getting a little confused and shouting 'DINGO!' at the top of his voice in the crowded bingo hall. Just imagine the glacial stampede of zimmer frames. Oh the hilarity. It is rather hot today, isn't it? I think I'm going to go to the beach. I don't think I've ever won at Bingo, but if I did I'd shout HOUSE! This is possibly where I've been going wrong. You're too cool to play bingo, Sally. I don't believe; I refuse to believe it. My students always loved it when we played bingo. The most difficult version was "telling the time". Ed, can you embed the videos in the html format so that they're visible on the iPad? I can see it now! Thanks! Yay! Thanks for telling me that - I'll always do any vids like that in the future. My mum was a huge fan of housie - as it was called in NZ when I was growing up. Too cool again; I wouldn't believe it. Great piece of writing about the bingo game, I really liked the way you highlighted some really important and significant points. خصومات مميزة من خلال شركات تنظيف بالبخار في مكة التي تعتبر افضل شركة علي مستوي المملكة و هي العنود حيث انها اكبر شركة تنظيف خزانات بمكة تتبع طرق تنظيف حديثة و تحرص شركة مكافحة حشرات بمكة القضاء السريع علي جميع انواع الحشرات . تواصل الان مع كبري شركات حراسات امنية و هي شكرة الحارس الخاص حيث تتميز بأنها ذو خبرات واسعة و كفاءة عالية تواصل الان مع افضل الفرق المتخصصة التي تعمل لدي شركة امن وحراسة حيث تقدم لكم مستوي عالي في العروض و الخصومات .